If you wish to eliminate, extract, or detach an object from your image, Outsource2india is your best choice. With more than 20 years of experience in image editing, we use image masking technique to remove the background of photographs or images that have blurred edges or hair portions. We have provided image masking services to numerous image editing agencies, digital photographers, portrait studios, art galleries, web designers, catalogue publishers, online stores and real estate agencies. The image masking professionals at Outsource2india have expertise in using the latest image editing software and technology and can improve the final quality of your digital images by removing serrated edges. At Outsource2india, you can be assured of proficient work at affordable rates with absolutely no compromise on quality. This is referred to as 'Raster Masking' in Adobe Photoshop. This masking technique is used for translucent and semi-transparent images. It is usually used when creating layers over a particular image is difficult. This masking technique ensures smooth edges of cut-out or isolated images. This is another masking technique in Adobe Photoshop CS6. This masking technique is used to achieve perfection for extracting fine objects from the background of an image. This technique is used for masking semi-transparent or translucent objects like hair, feathers etc. This technique is used for removing transparent images from their background. Images with gradient transparencies like a glass objects can be smoothly removed. This technique is useful for isolating translucent images from their backdrop. This technique can also be used to remove undesired pixels from a photograph. This technique is used to erase the background of an image. 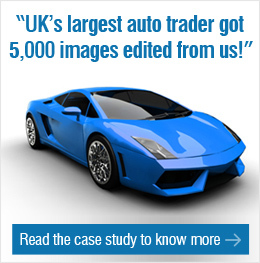 It is usually used to mask images for brochures, catalogues and commerce websites. At Outsource2india, we understand that image manipulation demands skill, passion, and dedication as it is a time-consuming process. Therefore, we provide our digital image editors with the software and hardware that is the latest in the market and tested for superior quality. Our digital imaging experts are regularly trained in the latest image editing software and tools. We primarily use Adobe Photoshop CS6 and CC and Photoshop plug-ins. 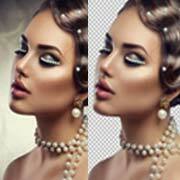 Read more about the image editing software used at Outsource2india. Why Choose Outsource2india for Image Masking Services? Contact us to outsource image masking services.